Kenn is one of the most popular Comics on XM radio and performs regularly across the country, but Kenn is so much more than a comedian. Kenn has spoken to hundreds of companies giving amazing focus in the midst of change, maximizing productivity, and developing record-breaking product launches. Kenn was also a top 10 salesman in a Fortune 500 growth company. 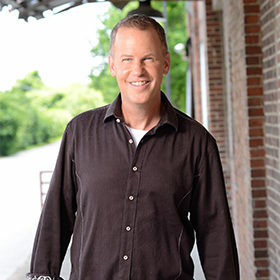 Kenn has written two bestselling books on relationships and records a regular radio show/podcast that inspires thousands to experience life to the fullest. When you hear Kenn, rest assured you will be entertained, encouraged, challenged and inspired but the greatest benefit is that you will leave with more hope, clarity, insight and motivation to experience true success and significance. 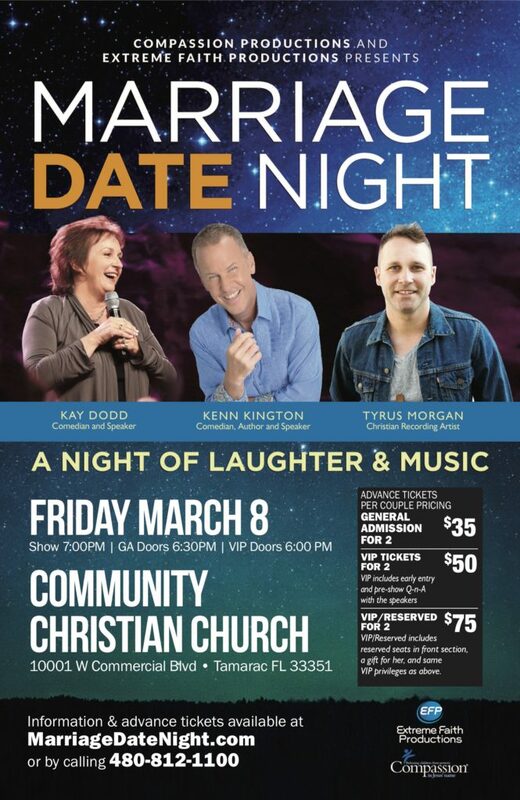 Kenn looks forward to meeting you on the Marriage Date Night tour! Kay Dodd has spent the better part of the last 25 years making people laugh as a professional comedian. 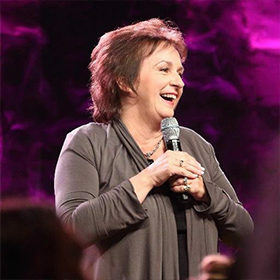 Whether she is performing for women’s groups, conferences, and recovery groups or emceeing events, producing shows or raising funds for worthy causes, Kay Dodd will deliver the laughs that can lift spirits, open hearts, and leave your audience inspired. An encouraging word. A quiet compliment. A pat on the back. Tyrus Morgan believes these small gestures are important ripples in an ocean of eternal impact. We were created for more than just going through the motions, and for this Nashville-via-Kansas singer/songwriter and worship leader, it’s important to be reminded of that on a regular basis. 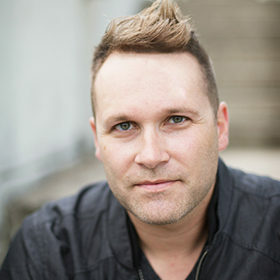 “There are earthly, tangible things through the Body of Christ that show us something greater than ourselves, something to believe in,” says Tyrus, a sought-after songwriter who co-penned “The Same God,” the poignant power-ballad which scored GRAMMY®-nominated NewSong their most recent Christian radio hit. “Life is more than just a ‘go to work, pay the mortgage, go home, go to bed’ type of thing, and it’s our job to build each other up in good times and in bad.” Tyrus loves sharing his songs, so he hopes you can make it to one of the cities on the Marriage Date Night tour! Early entry also allows you to chose your favorite seat. Come in early to shop and visit vendors and artist tables. Join us for an amazing night out for couples. 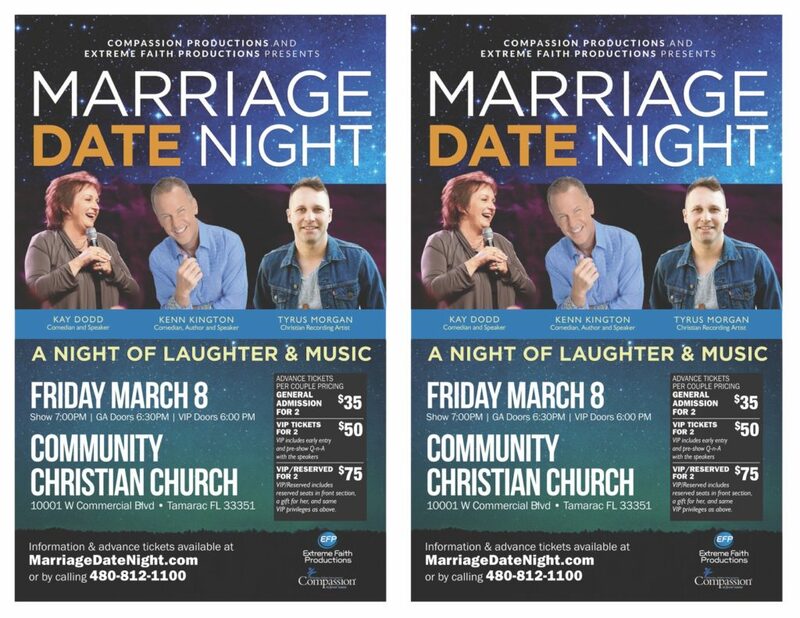 Help us spread the word about Marriage Date Night. 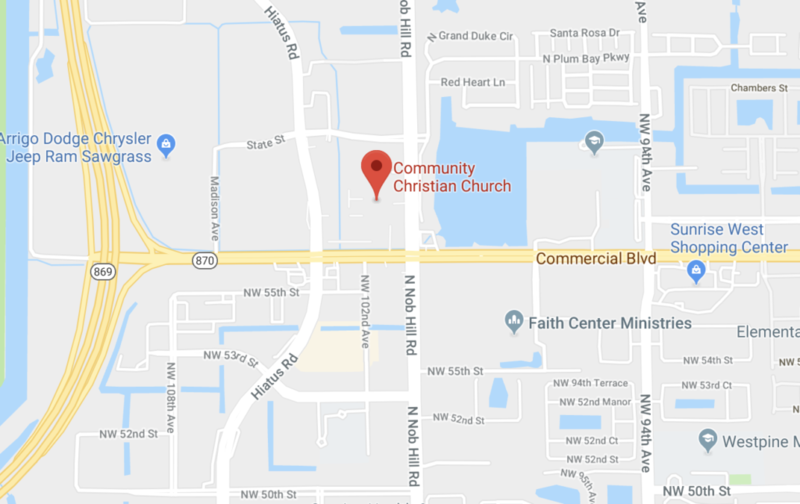 Please consider distributing fliers to your bible study or small group. Call 480-812-1100 to have a packet sent to you.